Lady Gaga won best pop solo performance for ‘Joanne (Where Do You Think You're Goin'? )’, best song written for visual media for ‘Shallow’ and best pop duo/group performance for ‘Shallow’ (shared with Bradley Cooper). 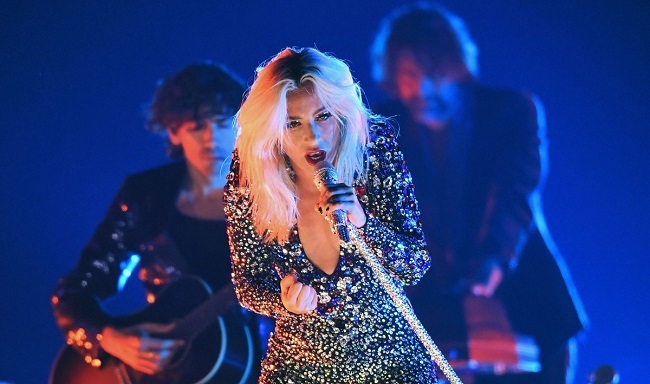 Washington DC: Lady Gaga took home three Grammy this year. Lady Gaga won best pop solo performance for ‘Joanne (Where Do You Think You're Goin'? )’, best song written for visual media for ‘Shallow’ and best pop duo/group performance for ‘Shallow’ (shared with Bradley Cooper). This news comes just hours after the singer won a BAFTA Award for original music at the British Academy of Film and Television Arts Awards in London. This win made her the person to win a BAFTA and a Grammy in the same day, reported Variety. The 32-year-old star was even more emotional about her Grammys, which she said brought her to tears. “I’m not gonna be able to wear any makeup tonight. We just won our first of Grammy nominations for the night. I’m in tears with honour and gratitude. Thank you @RecordingAcad #Grammys #Grammy and my co-writers and Bradley I love you so much thank you,” she wrote in a tweet. Joanne’, which appeared to strike a more special and personal note for her. “A Grammy for Joanne is more than me my family could ever dream of. I sang that version in one take, & poured my entire life soul into it. Thank you so much for this gift I am completely shocked. 2nd Grammy win of the night I am so overwhelmed by this kindness. #grammys,” she tweeted. These facts about Justin Bieber will surely amaze you!